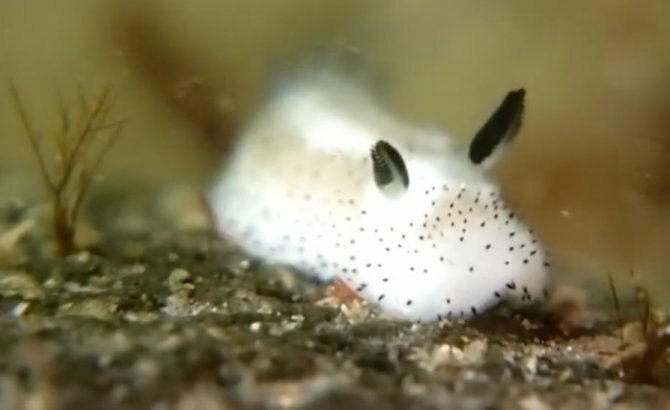 These cute little critters, which have been given the name of 'sea bunnies', due to their fluffy appearance, long 'ears' and rabbit-like tail, have been appearing in social media posts all over Japan. They are actually a species of nudibranch called Jorunna parva, but you have to admit that they have a certain appeal (scroll down for video). They are found from the Indian Ocean to the Philippines to Japan. Those 'ears' are actually scent organs called rhinophores, which help the slug to locate food.